Have you been dreaming of living in the country and reducing your carbon footprint? Check out this beautiful 84 acre ranch with a roomy 2800 sq ft 4 bedrooom/3 bedroom home fully off-the-grid with a water catchment cistern system. This home is located in the Santa Lucia Mountain range where wildlife abounds. 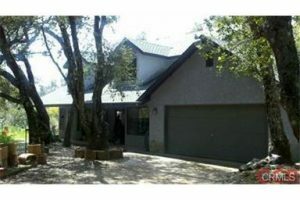 Enjoy coastal breezes half way between the quaint coastal town of Cambria and the Paso Robles wine country. Affordably priced at $599,000 Call for your showing today!